Little Grippers AWARD WINNING Sport Socks STAY UP all day long. Little Grippers are designed with our STAY ON TECHNOLOGY keeping them On, Up and In Place for the entire game. Each Little Grippers Twin Pack contains 2 pairs of Little Grippers made in the UK to the highest standards. Sizes available include XSmall (Shoe size 9-12/Approx 3-6 years old), Small (shoe size 12-2 / approx 7-10 years old), Medium (shoe size 3-6 / approx. 11+ years old) and Large (shoe size 7-11 / approx. 14+ years. 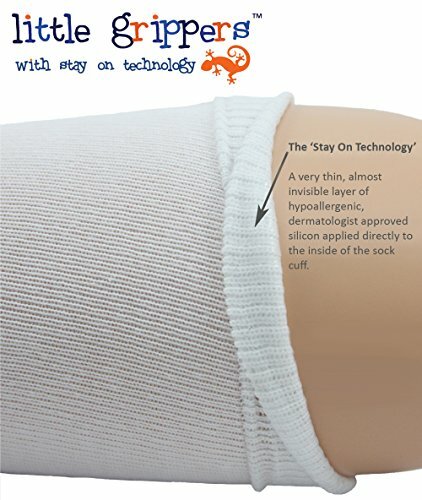 The Stay On Technology is a DERMATOLOGIST APPROVED, HYPOALLERGENIC almost invisible layer of clear silicon in the sock cuff which sits on the skin keeping them in place without gripping or stickiness. 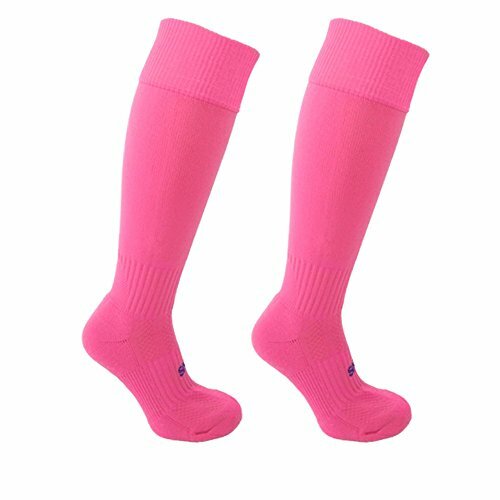 Our Sports Socks are machine washable, renewing the Stay On Technology with every wash and therefore lasting the lifetime of the garment. 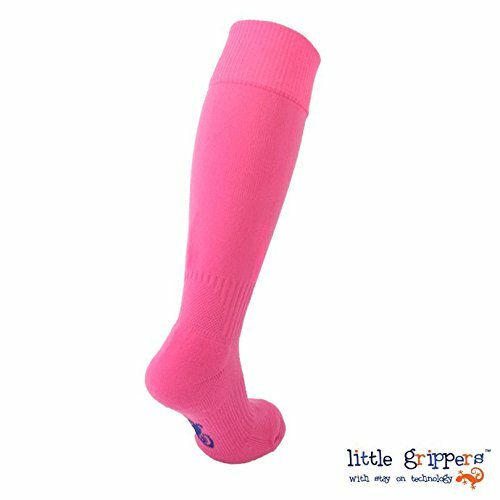 Little Grippers sport socks are performance socks with features including LYCRA Elasticated Ribbed Ankle Support, Elasticated Foot Support, Padded Sole and Contour Fit for fit and support. Micro Venting, Flat Toe Seam for breathability and comfort. Each sock is 95% Nylon (polyamide) with 5% Lycra for improved stretch, comfort, fit and appearance. 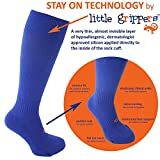 Visit the Little Grippers store on Amazon http://bit.ly/littlegrippers to see our other products including school socks, welly boot socks and baby and toddler socks, all with our unique and innovative Stay On Technology. Little Grippers socks are designed to STAY ON, UP and IN PLACE all day long. Each Little Grippers sock is designed with our unique and innovative STAY ON TECHNOLOGY, no other sock on the market has the Little Grippers Stay On Technology which is a very thin layer of DERMATOLOGIST APPROVED, HYPOALLERGENIC clear silicon. 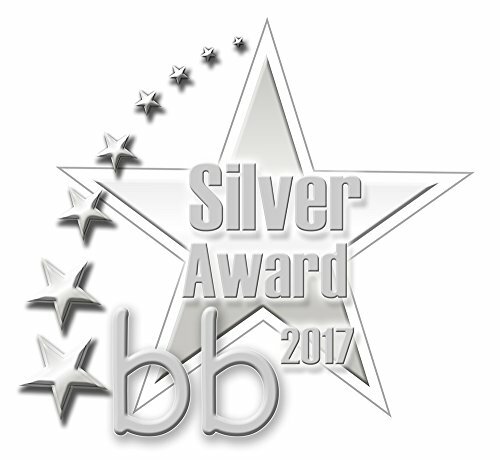 This almost invisible layer, suitable for all skin types and ages, uses the natural properties of silicon to sit on the skin without gripping or stickiness, minimizing pressure and discomfort, moving and stretching with your child, acting as a second skin. The Stay On Technology is applied directly to the inside of the sock cuff by robots, so no additional trims or stitching ensuring that the Little Grippers socks stay comfortable, on, up and in place all day. The Little Grippers socks can be machine washed, and the Stay On Technology renews itself each time ensuring that it lasts the lifetime of the garment. 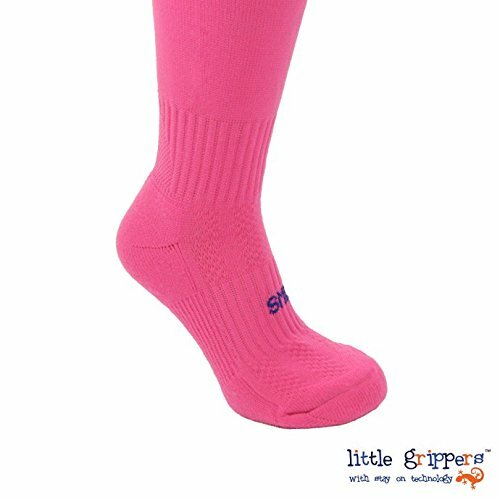 Little Grippers Sports Socks are fully functional, with everything you would expect from a truly technical Sports Sock including Elasticated Ribbed Ankle Support, Micro Venting, Elasticated Foot Support, Flat Toe Seam, Padded Sole and NEW IMPROVED Contour Fit around the toes. To increase the performance and improve the appearance Little Grippers Sport Socks now contain LYCRA by INVISTA. Available in White, Black, Red, Navy, Royal Blue, Pink, Bottle Green, Amber and Fluorescent Green. Sizes available from amazon include XSmall (Shoe Size 9-12/Approx 3-6 years old), Small (Shoe Size 12-2/Approx 7-10 years old) Medium (Shoe Size 3-6/Approx 11+ years old), Large (Shoe Size 7-10/Approx 14+ years old). Little Grippers sport socks composition is 95% Polyamide (nylon) 5% Lycra, and can be machine washed at 40'C and line dried. 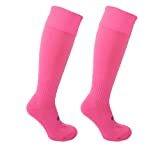 Each pack contains 2 pairs of sport socks suitable for numerous sports including but not limited to Football, Rugby, Baseball, Lacrosse, Netball, Cheerleading, and Basketball.